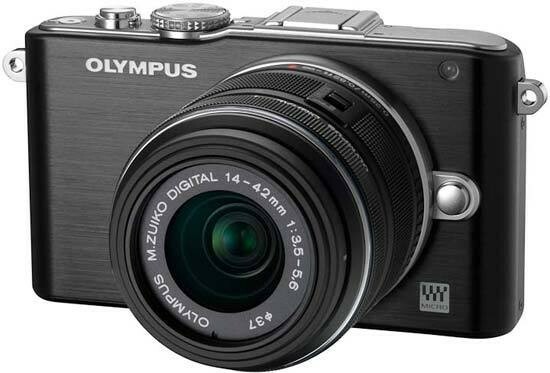 Reviews of the Olympus E-PL3 from around the web. The Olympus PEN Lite E-PL3 is the updated version of the E-PL2, and is a significant update to the predecessor with a significantly more compact body, new shutter system, with higher speed shooting at upto 5.5 fps, anti shake sensor, ultra fast focus, AF illuminator, tilting 16:9 screen with 460k dots, Full HD video, stereo sound, completely new design, numerous colours and updated Art filters with effects. Small but perfectly formed, cameras in the Olympus PEN range are well loved for their stylish good looks and user-friendly handling. One of a trio of new launches from the manufacturer, the new Micro four Thirds PEN Lite E-PL3 continues the PEN trend for combining retro charm with a comprehensive feature set.